Offense struggles, special teams shine. As crazy as it sounds, Morehouse went from undefeated to “must win” within the course of one week. After Sunday’s lopsided loss to Albany State, the Maroon Tigers could not afford another divisional loss this weekend. 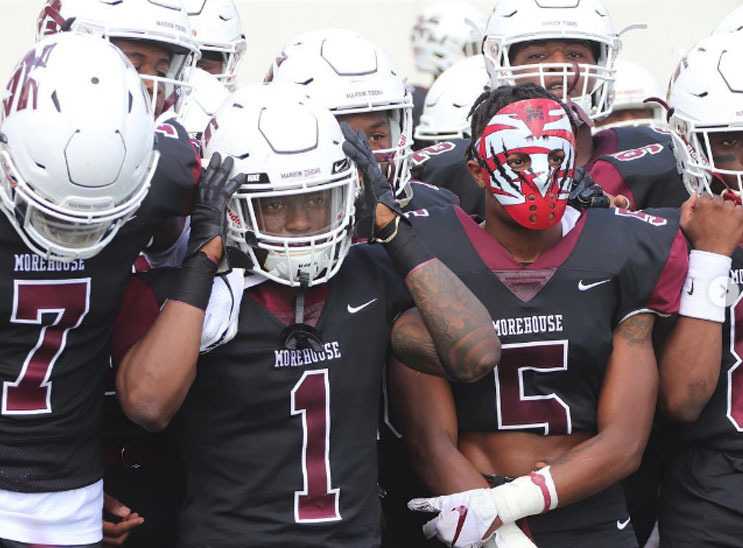 Morehouse (7-1, 3-1 SIAC) came through in the hostile environment of Benedict (5-2, 3-1 SIAC) and its homecoming celebration with a 14-10 win. The storyline of the day was special teams. On its very first possession, Morehouse scored after a bad snap on a Benedict punt attempt. Ben Goins scooped up the ball returning it 10-yards for an early 7-0 lead. The scoreboard wouldn’t light up again until the second quarter when Benedict’s Dominique Harris found Danye Washington on an 11-yard touchdown pass to tie the game at seven apiece. Then it was special teams again for Morehouse. Just before the half, Lynd Parrish blocked a Benedict punt and Bertram Johnson scored on the recovery to make it a 14-7 game at the break. Depending on how you look at it, for the rest of the way either both offenses struggled or both defenses excelled. Benedict would score the only points of the second half on a field goal. Morehouse held on for a 14-10 win. Morehouse didn’t get any help from Clark Atlanta as they were steamrolled at Albany State. So with two games remaining in divisional play, the Maroon Tigers will be cheering for Benedict and Fort Valley to upset ASU. Meanwhile, the Maroon Tigers will have to hold serve at homecoming next week against Fort Valley and then across the street at Clark Atlanta. Benedict is still in the running but they would have certainly controlled their own destiny with a win on Saturday against Morehouse. The Tigers host Albany State next weekend before closing out the regular season at Kentucky State. A Benedict win against ASU would set things up for a dramatic final week in the SIAC by giving Albany State its first divisional loss.